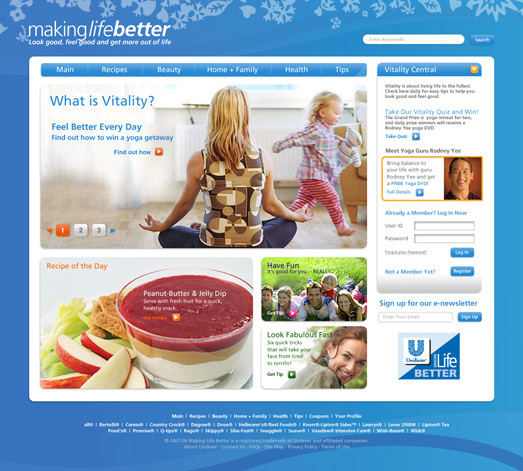 Design collaboration and creative direction of prototype for a consumer-oriented site for Unilever brands. With Time Inc. Content Solutions.